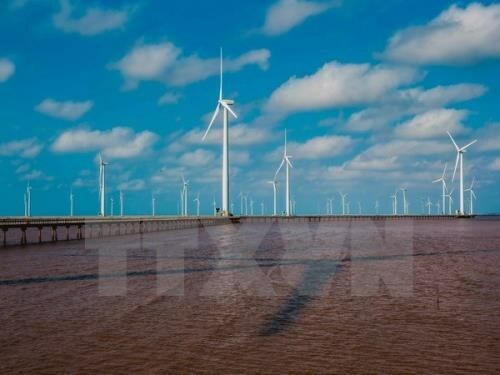 Hanoi (VNA) – The Anti-Dumping Commission of Australia (ADC) chose not to apply anti-dumping duties on wind towers imported from Vietnam 60 days after it began investigating the alleged dumping of the goods, according to the Vietnam Competition Authority. In a report issued early this week, the ADC said it has not made a preliminary affirmative determination (PAD) against the wind towers exported to Australia from Vietnam. There are not sufficient grounds to establish that the goods are dumped, or to establish a causal link between dumped goods and material injury for the Australian industry, it stated. But it will consider making a PAD at least once prior to or in the publication of the statement of essential facts which is due to be published on September 26. The ADC is currently examining information provided by two Australian firms who imported the goods from Vietnam during the investigation period and the only cooperating exporter, CS Wind Vietnam, from Vietnam. The commission plans to conduct on-the-spot examinations of the exporter in Vietnam from August 16-18. A report on the ADC’s recommendations will be submitted to the Parliamentary Secretary no later than November 10, 2017 (the duration can be extended). The secretary will make a decision within 30 days of receiving the report. The wind towers imported from Vietnam currently have import duty of 5 percent in Australia. The investigation was initiated in June this year following an application lodged by Australian manufacturers Keppel Prince Engineering Pty Ltd and Ottoway Fabrication Pty Ltd.